Samsung Galaxy S2 coming with Android 3.0? The Samsung Galaxy S 2? Update: Now you can read our detailed Hands on:Samsung Galaxy S2 review. Samsung might be set to launch one of the first Android 3.0 Gingerbread handsets after 'leaked shots' appeared on the internet. We're always suspicious of these images as they could very easily be the work of a bored phone addict with a healthy dose of Photoshop - but the specs would fit in with a forward-looking roadmap. As you can see, the Galaxy S I9200 has a super-slim form factor and massive 4.3-inch screen with a super resolution of 1280x720 - which would make it the most pixel-packed mobile on the market. Other cool features set to be offered include Bluetooth 3.0, 1080p video recording, up to 64GB memory and a 2GHz processor, along with an iPhone 4-matching gyroscope as well. If we're honest, this phone seems more fantasy handset than actual device, especially as it handily matches the minimum specs for Android 3.0, right down to the TouchWiz 3.0 overlay being removed to show Google's new UI. Plus this is translated from Russian; so it's quite feasible this isn't the most truthful rumour. 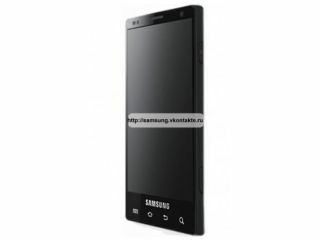 But it's been given a release date for Q1 2011, so come back then and see if the Galaxy S2 is real or not. Well, come back before then to check out our other tip-top news and reviews - perhaps write Samsung GS2 on the bottom bit of your calendar so you can remind us.